Falling For YA: Any Boy But You by Julie Hammerle Blog Tour + Giveaway! 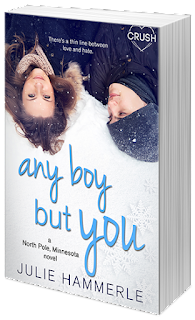 Any Boy But You by Julie Hammerle Blog Tour + Giveaway! The girl Oliver's fallen head-over-heels for online had better not be Elena Chestnut. She's his angry, vindictive Latin tutor, the daughter of his dad’s business rival, and the one girl he’d never even think of kissing. She’s definitely not his online crush, because that girl is funny, sweet, and perfect. What inspired you to write Any Boy But You? Is it based on anyone special? The character I relate to most in Any Boy but You is Oliver, for sure. It didn’t start out that way. I hadn’t gone into writing the book planning to deal with my own social anxieties through him, but that’s how it worked out. The way he sees his sister, Regina, is how I see people who have it more socially together than I do. She’s an extrovert, who thrives on engagement with others. He’s an introvert, who finds the whole “making and keeping friends” thing exhausting and terrifying. He wants friends. He wants to find his “person,” to use a Grey’s Anatomy word, but he’s scared of being rebuffed. He’s scared of putting his heart out there and having it tossed back in his face. And that fear has won out his entire life. He’s spent seventeen years hiding behind his computer and his “above it all” façade, while other people paired up around him. When he talks about his fear of rejection or his worry that no one would show up for him when he really needed a friend, that’s all me. That stuff was waaay too easy to write. Obviously, Oliver and Elena’s budding romance is the center of this story, but my favorite interpersonal moments happen between Oliver and Harper, Elena’s BFF. Harper and Oliver strike up an unlikely friendship, and she’s exactly the person he needs to help him come out of his shell. Oliver wants a romantic relationship and he does grow to care about Elena, but what he really needs (and finds in Harper) is a good buddy. 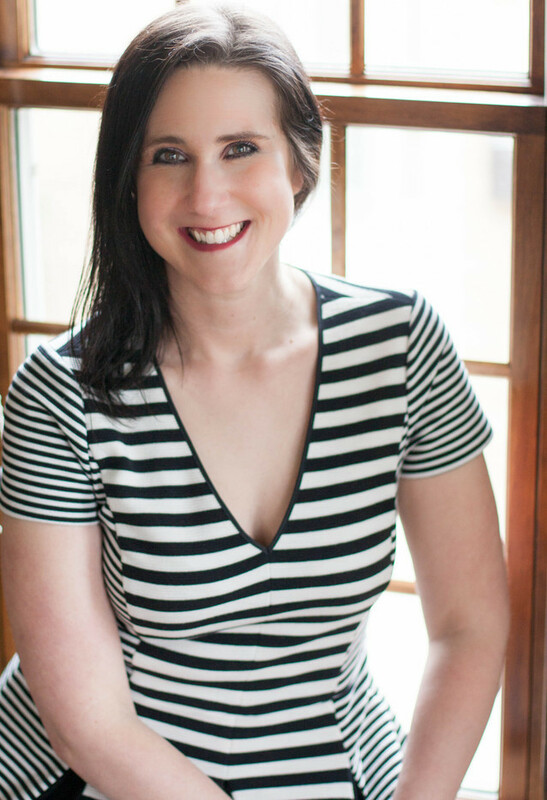 Julie Hammerle is the author of The Sound of Us, which will be published by Entangled Teen on June 7, 2016. Before settling down to write "for real," she studied opera, taught Latin, and held her real estate license for one hot minute. Currently, she writes about TV on her blog Hammervision, ropes people into conversations about Game of Thrones, and makes excuses to avoid the gym. Her favorite YA-centric TV shows include 90210 (original spice), Felicity, and Freaks and Geeks. Her iPod reads like a 1997 Lilith Fair set list. She lives in Chicago with her husband, two kids, and a dog. They named the dog Indiana.